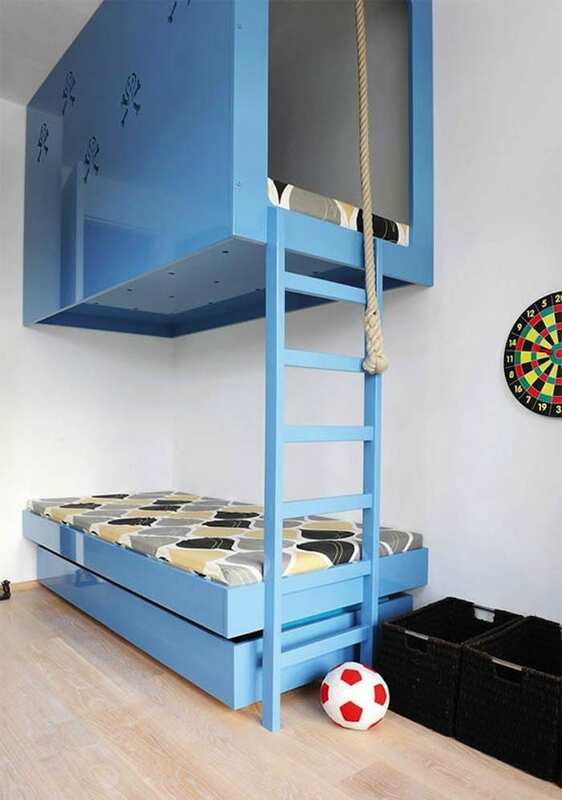 Make the children time easier at night time by getting your little ones in a set of bunk beds with stairs! From traditional ladder-types to super artistic and beautiful designs, you’d be surprised how many ways they can look, function and be styled. But not all of these double spots are meant for children, sometimes a nook or cranny can be filled with with a set made for guests to enjoy or relax with a good book during summer afternoons. 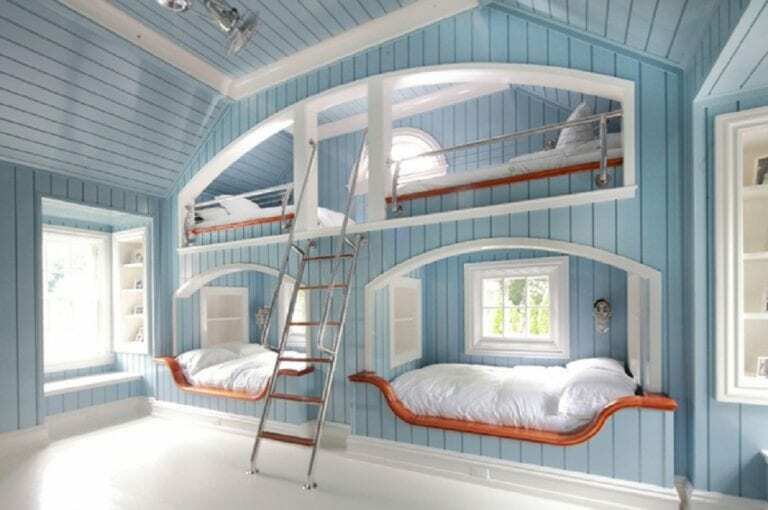 Let’s have a look at a variety of bunk beds with stairs and see if one strikes your fancy! We are loving the modern lines of this up in the air design. It definitely strays away from tradition in terms of a child’s room, but it still fits and works within the confines of youthful style. The color works, the contemporary appeal works and the function of the piece works as well. Just make sure your little ones aren’t too little to handle a ladder as such. How fun and whimsical is this design? Sometimes the space doesn’t have to be used for two, instead it can be used for one. One side whether top or bottom can be used for playtime or storage. Do you notice how the stairs leading to the top space resembles that of a tree for a very organic and artistic, yet fairy tale like experience. What little girl wouldn’t love to have this in her room. If you take away the camouflage and military decor, you’ll find a rustic and traditional piece. 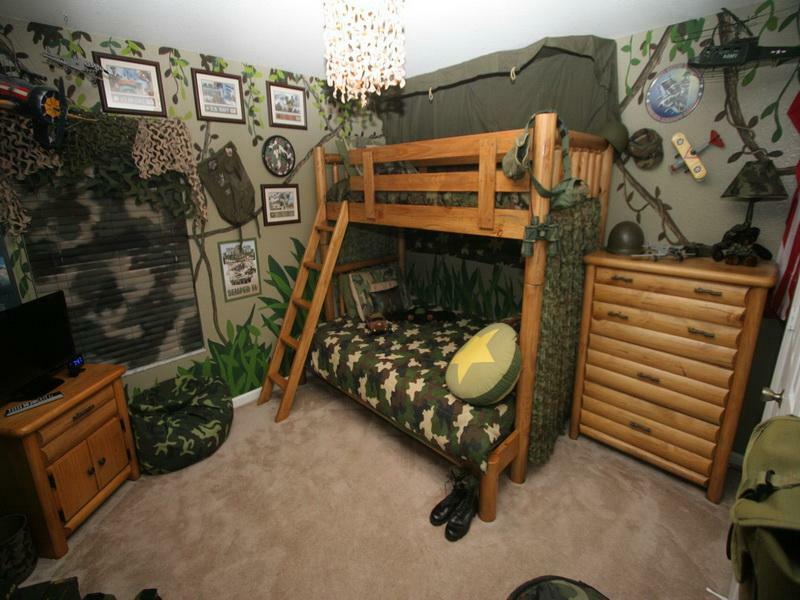 When you think of furnishings for your boys, this is the set you’re probably thinking of in your mind. It’s a great choice because you can use this design in almost in theme or vision. It blends well and doesn’t become the focal point of the room, instead it compliment’s the decor. Here’s a great example of a more “grown up” version. It’s perfect for a shared studio apartment or a teen’s space she can use for sleepovers. We love this piece especially because more open feel and modern foundation. 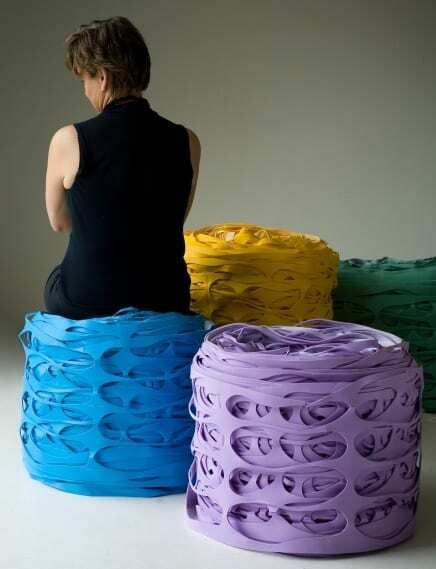 It can also easily transform into a variety of different visions for your personal space. For example, a retro take on this selection would be quite fun! 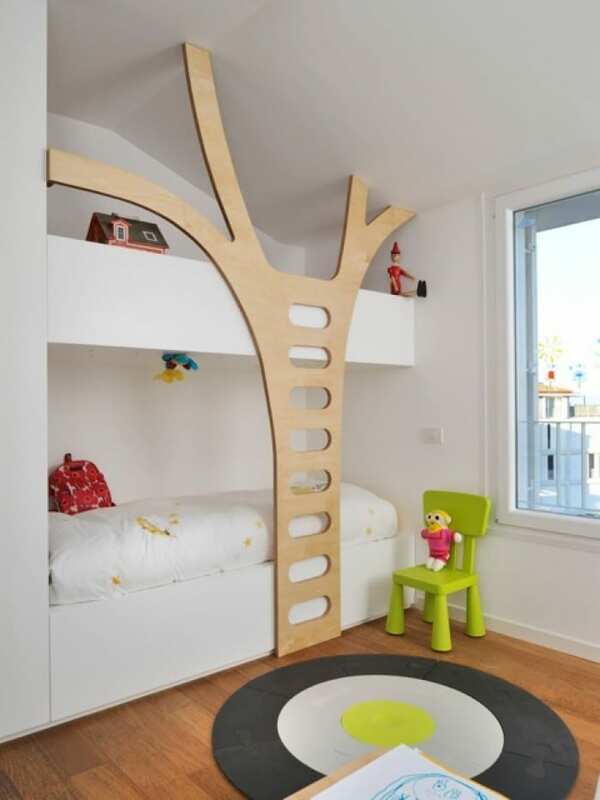 Kid’s rooms don’t have to be just two. Just take a look at this fun and playful foursome. 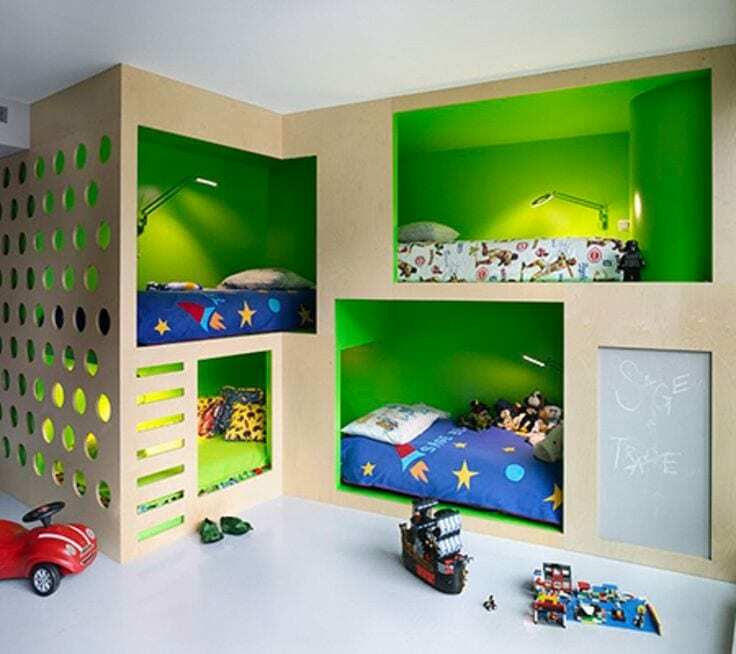 Your kids and their friends will have such a great time playing and resting in these cubby like spaces. And we love how the stairs or short ladder blends right into the design adding more interest and artistic appeal. Fitting four children in one space is no small feat and this floor plan accomplishes that. How incredible in this space. Between the beautiful window and natural lighting, this space was meant for relaxing, vacationing and simply enjoying. The stairs in the center add easy access to the top tier, but the overall design of this nook makes for a great spot in a bonus room or holiday house. Again, it’s perfect for guests as well! Just like its predecessor, this space is perfect for a vacation home or bonus room turned guest area. The beds are plush and adult sized, and the large ladder in the middle make for an easy way to get atop – with a rail for extra safety which we love. This area has a very nautical, summertime feel and the built ins fit right into the vision with ease. Welcome to the rustic, cozy cabin! You can even get custom examples fit for your mountain inspired home. The absence of color and emphasis on the wood makes for an easy upkeep and welcoming flair. Although, the chandelier adds a personal touch that would be missing without. And, of course, a organically styled ladder finishes off the playful and natural inspired decorative theme. This definitely is not your average idea. Not only does this provide more space and function throughout a smaller room but it’s just a cool way of designing and creating a unique look. You’ll need to make sure these are installed correctly and in the most safe way possible, but you can have a whole lot of fun accessorizing and accenting with the floor beneath! Here is another nautically themed space characterized by the ropes addressing suspension from the ceiling. These are a more “grown-up” version of the typical designs we see for children, but with the rope accent and floating, separated finish, they have a great theme and style all on their own. We also love how this room has taken the trendy charcoal and mustard color pairing and used it to their advantage. If a home is tight for space this would be a great idea for visiting teenagers or other family that comes to visit periodically. This is certainly a dream piece, don’t you think? Whether you’ve decided to spoil your little girl with this princess styled set or you’ll be enjoying it yourself in one nook or cranny of your home, it’s quite a beautiful selection. And we love how the ladder to the top resembles a gorgeous, castle like staircase. And don’t miss the small little light fixtures adding even more luxury to the overall look. Here’s a great choice for your smaller ones of the house. 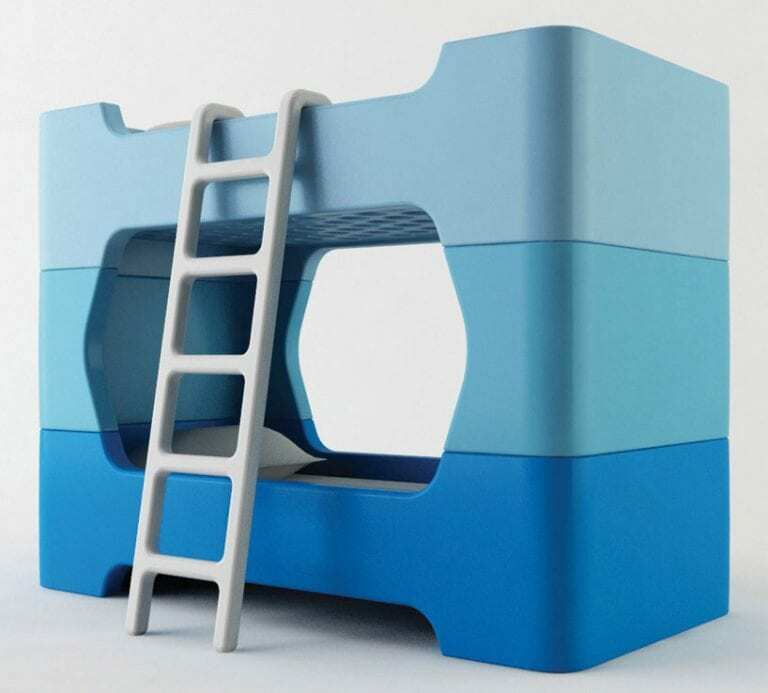 Resembling a play area at a playground or fast food joint, your children will love to have this piece hidden inside their rooms for fun and rest. Make sure they’re big enough to use the stairs to the top with ease and safety, but other than that there’s no doubt your son or daughter won’t enjoy this fun set. Add a bit of comfort to your bonus room or home office with a set such as the one pictured. This is a great option for when you need the extra guest space and don’t have the extra room to do it. But it’s also fun for you and the family to have a special area for hanging out with friends and catching up on your favorite books! We love the traditional flavors of this room as well, including that of the bunks! Here’s another great example of a unique, outside the box version. You’ve got a normal sized mattress below and two guests bunks on top. Whether you’re sharing a studio apartment and decide this works for your trio or you just want the extra sleeping spots for when family and friends stop by, this is such a modern and inventive way to utilize your home. If you’ve got the extra nook or corner, why not utilize it? 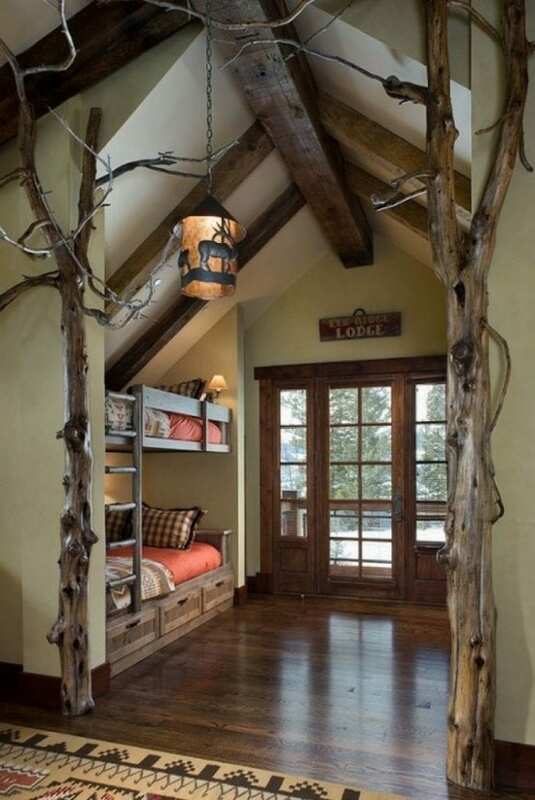 This rustic, cozy house had the extra room to build so they had custom built ins put in for kids to enjoy or their family to get comfortable during the holidays. 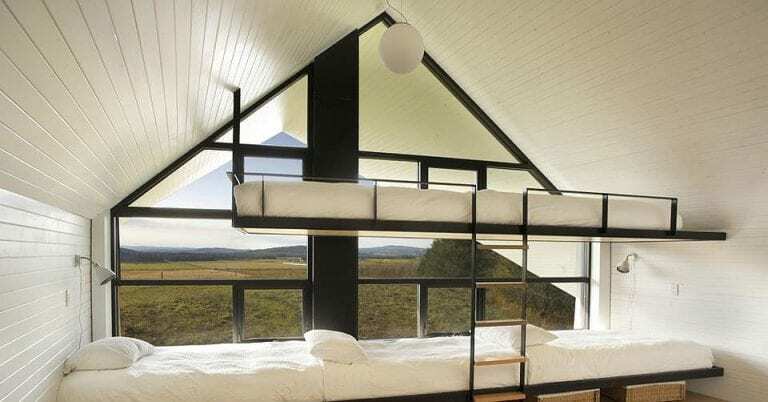 The foundation of the design blends in with the rest of the home’s charming, cabin-like finish and the built in ladder makes it easy to go up and down without problems.